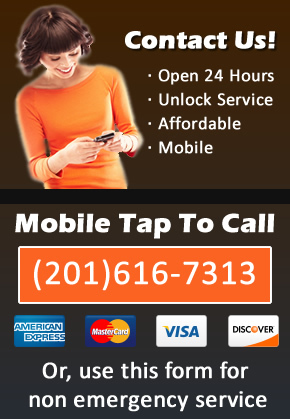 Give Locksmith Jersey City a Call Today! $19 Service Call! Locksmith Jersey City specializes in all types of locksmith services. If you are in need of a residential, commercial or vehicle locksmith, give Locksmith Jersey City a call now. We have a mobile fleet of expert certified locksmiths that can get to your location fast in case of an emergency. We also take appointments for non emergency work. Locksmith JC $19 Service Call! Our service call is only $19. 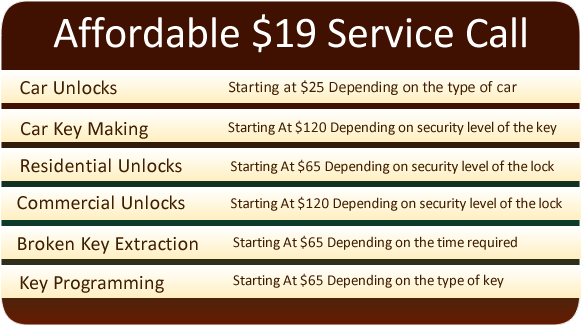 That is the most affordable locksmith service you will find in Jersey City. For $19 we will send a technician our to your location, assess your situation and give you recommendations for solving your current problem. Pricing a job with our seeing exactly whats happening is impossible for any locksmith. For a detailed list of our prices, check out our Jersey City locksmith prices page. Go with the best, give Locksmith Jersey City now, we will send the closest available locksmith to your location. Call 201-616-7313.